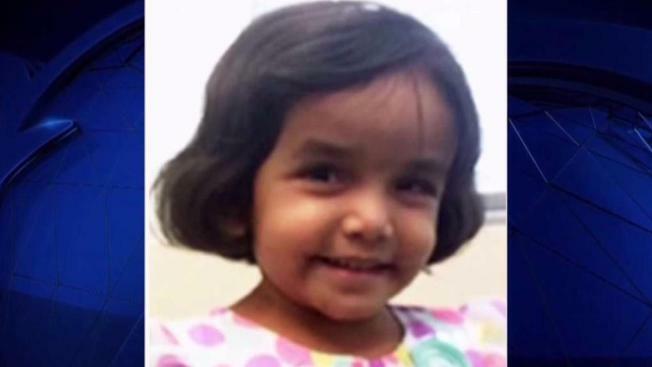 Sherin Mathews, the 3-year-old girl adopted from India and found deceased in a ditch in Richardson last year, died of "homicidal violence," the Dallas County Medical Examiner's office confirmed on Wednesday. Richardson police issued a statement Wednesday afternoon saying the medical examiner's office listed the child's cause of death as homicide and the manner of death as homicidal violence, though they didn't elaborate further. Details of the autopsy and toxicology reports were expected to be released Wednesday. Sherin's body was found Oct. 26, more than two weeks after Wesley Mathews, her adoptive father, had reported her missing. Wesley later changed his story to police and said that his daughter choked after he "physically assisted" her in drinking milk. He said he then moved her body and planned to go back later and give her a proper burial. Wesley and his wife, Sini, face criminal charges in connection with Sherin's death. Wesley remains in custody on $1 million bond for felony injury to a child with intent to commit serious bodily injury. Sini is also in jail, held on $100,000 bond for child endangerment/abandoning for allegedly leaving Sherin home alone while she, her husband their other daughter went to dinner on Oct. 6, the night before Wesley reported Sherin missing. The couple has been fighting for custody from the state of their biological child, a 4-year-old girl living with family in the Houston area. Both were expected in court Wednesday morning to try to regain custody of their biological daughter, but that hearing was rescheduled to Jan. 26. Sini Mathews' attorney Mitch Notle told NBC 5 that nothing in the autopsy or toxicology reports implicate Sini in the toddler's death. The attorney representing Wesley Mathews declined to comment. The Richardson Police Department and the FBI continue to investigate the toddler's death.